LIMA — Gas prices in the Lima region has increased by 4.8 cents since last week, according to prices reported to GasBuddy.com. On Monday afternoon the average price for a gallon of regular gas in Lima was $2.27, while last week’s average was $2.23. Gas prices have decreased 23 cents from last month’s average and have increased by 6.9 cents from last year’s average. Mercer County had the lowest average price in the region, which was $2.24, passing Hardin County at $2.26. Auglaize County average was $2.27, Putnam’s was $2.32, Hancock’s was $2.34, Shelby’s was $2.361, Logan’s was $2.366, and Van Wert’s was $2.42. Ohio’s gas prices were down 5.7 cents since last week’s average. The average for Sunday was the same as the week before, according to GasBuddy’s daily survey of 5,345 gas outlets in Ohio. The national average is down 2.7 cents per gallon in the last week from $2.47. 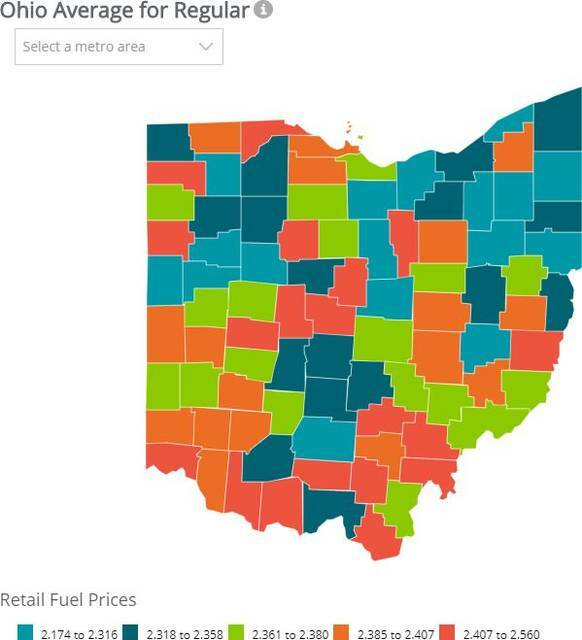 Ohio’s gas prices are up 14.8 cents since last year and are up 17.2 cents from last month. The national average has gone up 23.6 cents since last year and is also up 11.4 cents since last month. Patrick DeHaan, head of petroleum analysis for GasBuddy, said that average gas prices in the country were lower this week because of a large build in gasoline inventories and gasoline demand numbers have seen a reprieve. However, he warns that prices will not be this low for long. “As the focus continues to broaden beyond the rest of the year, motorists who found this year’s gas prices high may want to begin setting aside some additional funds for next year as all signs continue to point to higher prices than this year,” said DeHaan.